Freezing Nights and Beautiful Sights; Hello, Georgia! 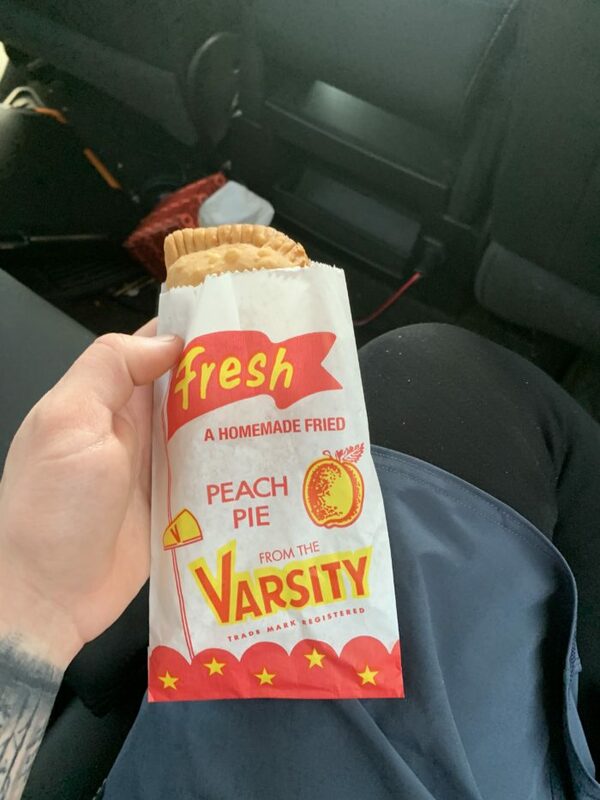 Prior to arriving in Atlanta, GA, I had worked a morning shift and waited in the airport for seven hours until I could board my long, non-direct flight. To say I was delirious as I stepped out of the gates would be a massive understatement. It still, six days later, hasn’t hit me that I’m really hiking the Appalachian trail. I met up with my hiking buddy in Atlanta and did one of those cliche run-and-hugs in the airport. After snatching our checked bags, and getting lost on the Marta, we met up with Frank, our shuttle driver. Frank was our first introduction to interesting characters on the trail as defined by his handlebar mustache, country music, and flashy truck. A friend of mine gave me a huge bag of caramel corn to take with me on the trail, but upon not having any room for it I decided Frank might appreciate the treat. 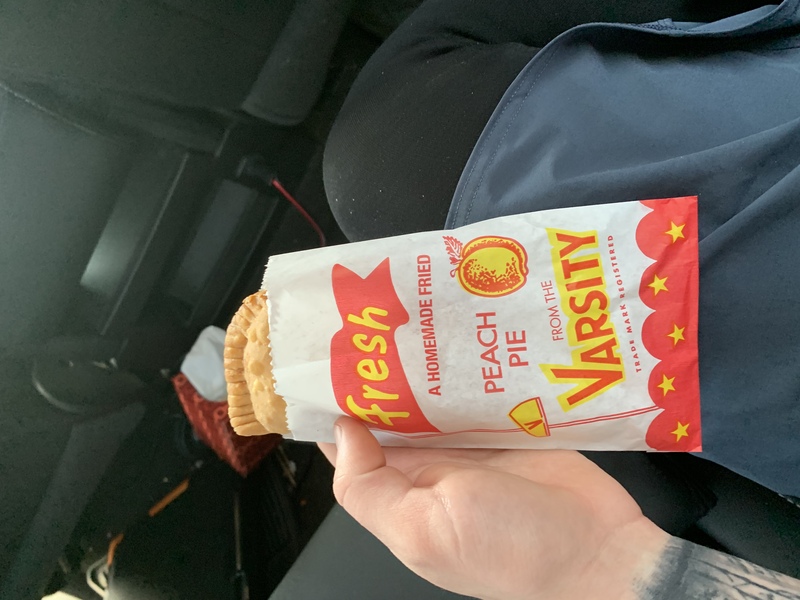 I was correct with my assumption as he drove us to his wife’s work to have her try the popcorn as well, and insisted on buying us fried peach pies as a reward. Frank was a true representation of Southern hospitality. I made my first rookie mistake on the Approach Trail. Amicalola was tougher than nails, and very easy to underestimate. In my opinion, it should be called the Approach (very cautiously) Trail. I ran up the stairs and didn’t think about what the consequences of heavy step climbing would do to my knees for the next 8.5 miles. By the time I reached Springer, I was more than exhausted. 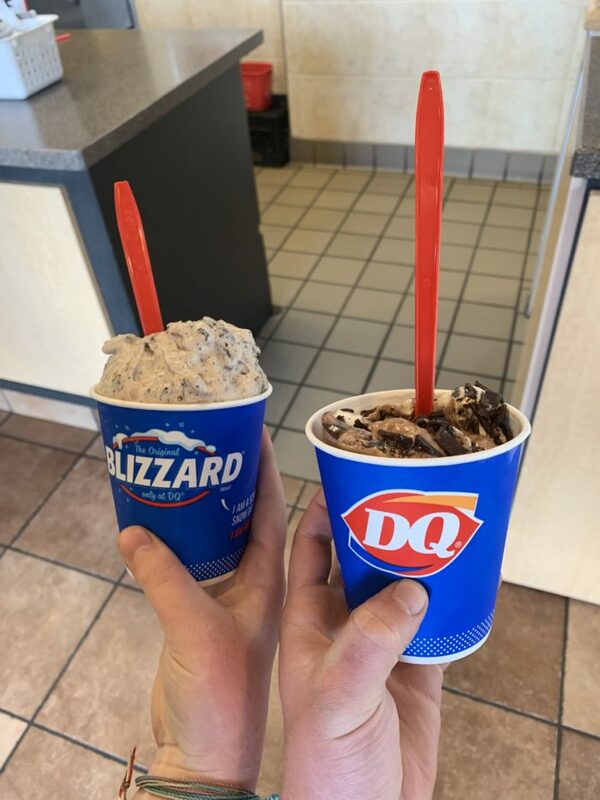 My second mistake came on my first night, when I didn’t check the weather and thought that the 70-degree day meant a 70-degree night (BIG mistake). I realized at 3 a.m. during a pouring thunderstorm that I didn’t tie down my rainfly properly, resulting in my tent being soaked as the temperature quickly dropped. I woke up cold, wet, and scared. My biggest fear was not being able to dry myself by nighttime, which would drop to 20 degrees. Luckily we made it to Hawk Mountain Shelter and were able to use a fire starter to dry up some wood, and dry our gear. There we met Scott and No Regrets, whom we later referred to as our “trail dads” since they were so kind and friendly to us. My next night I broke off from my hiking buddy and slept atop of Ramrock Mountain with two friendly men in the Army. They gave me MRE snacks (who knew MREs had combos?) and offered to look at my blisters. I slept cozily with a beautiful view and stomach full of snacks. 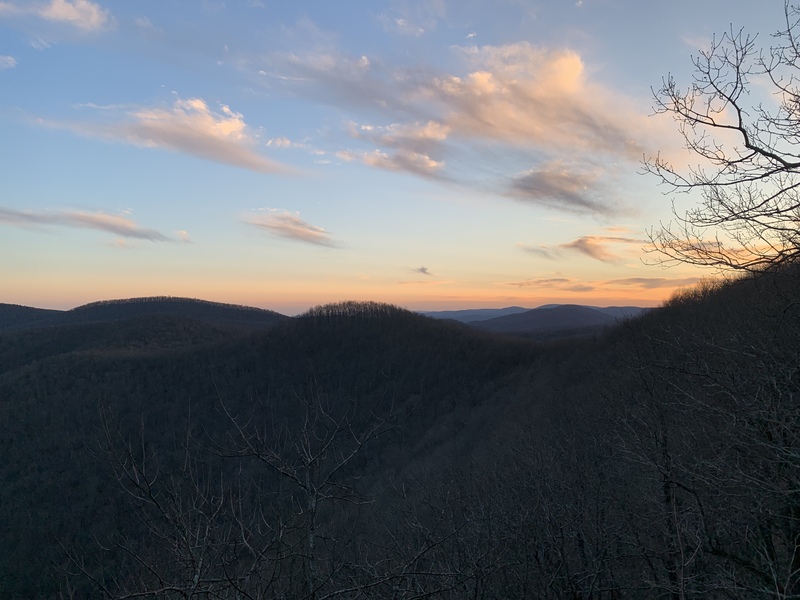 My fourth day I completed a treacherous 16-mile hike over Blood Mountain. This was the first time I hit a mental wall on the trail. For some reason, I just didn’t want to hike this day. I was bored, tired, and quite frankly, lazy. 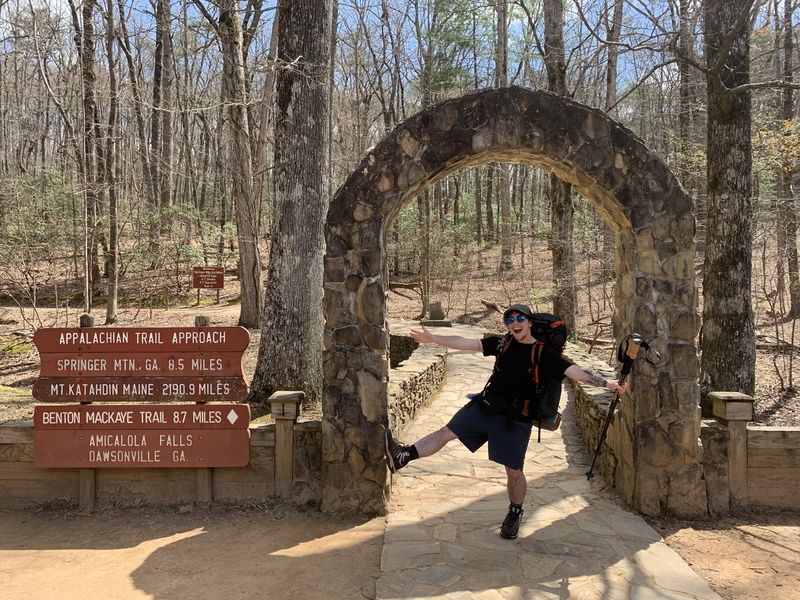 My knees began to ache but I somehow pressed on and made it over the huge mountain and limped my way to Neel Gap, where I met Kylie and Jason, who gave me half a can of root beer (soda never tasted so good). 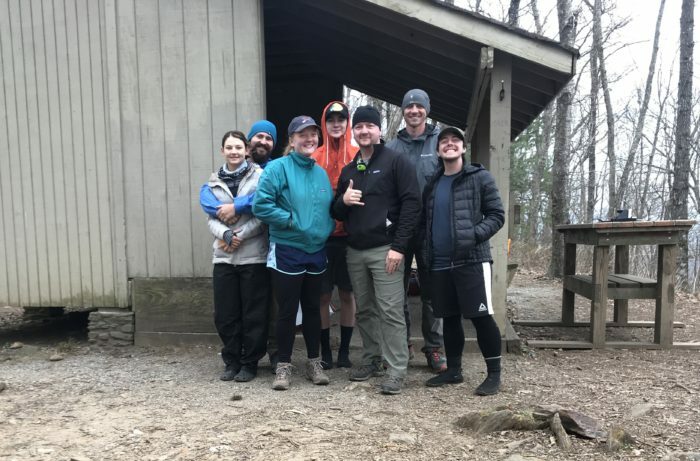 That night I reunited with my trail buddy and camped with a group I had met at Amicalola. Travis, Hunter, Kylie, Jason, and Charles soon held a strong place in my heart as we continued to hike together for the next few days. We called ourselves Team Rockies and hiked on a set schedule, eating, getting water, and sleeping together. I was sad to hear that they were only section hiking and soon had to say goodbye. Today marks day seven, the end of my first week on the Appalachian Trail. The day started off pouring but was saved by my first taste of trail magic. We were treated with hamburgers, chips, fruit, and Gatorade at Unicoi Gap early Friday morning. 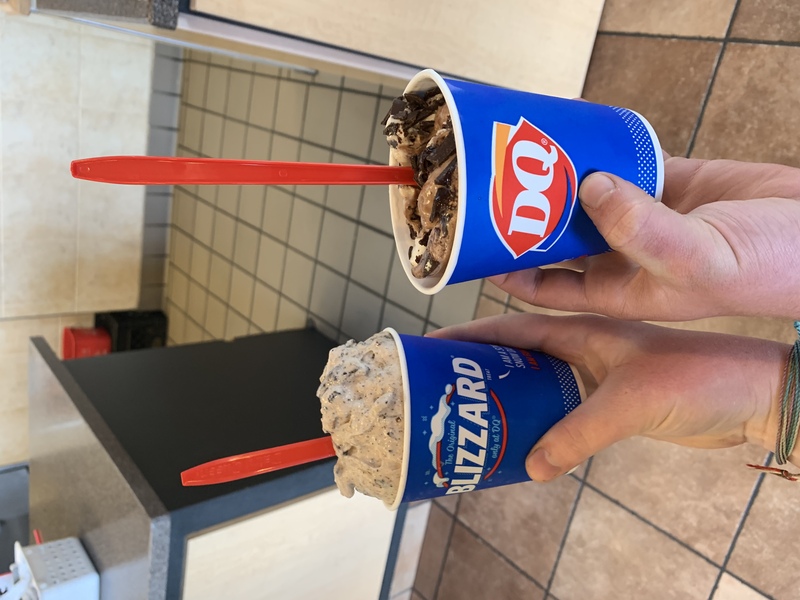 Afterward, we had our first official town stop in Hiawassee, GA. To celebrate the success of our first week, we shared a room in a small inn and got Dairy Queen ice cream on a beautiful, 65-degree day. Georgia isnt exactly what I expected, but I’m not disappointed or giving up. I have yet to receive my trail name, but that means it’s going to be great once I get it! My head remains held high and I’m looking forward to North Carolina. My name is Jacob Woods and I once had a marmot hug my leg on the top of a mountain. I'm a 21 year old graphic design student who will be hiking the Appalachian Trail in 2019 NOBO.